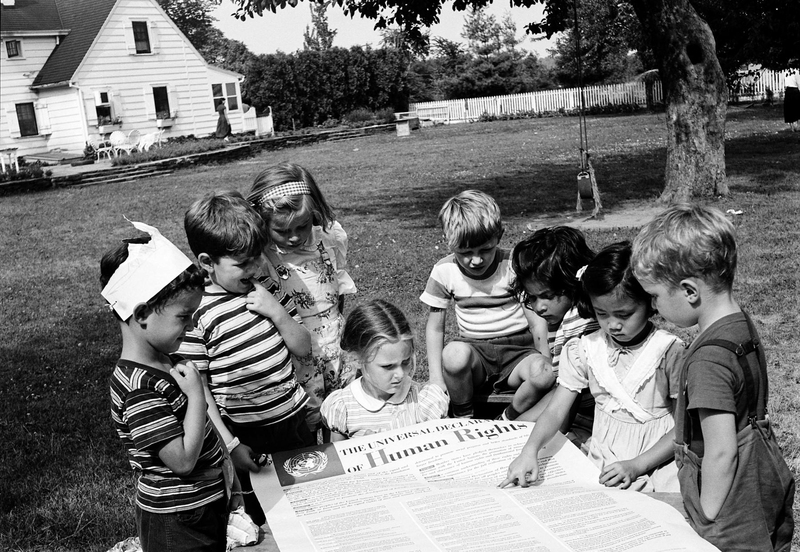 The backbone of the freedom to live in dignity is the international human rights framework . As defined by the Secretary-General, the rule of law requires that legal processes, institutions and substantive norms are consistent with human rights, including the core principles of equality under the law , accountability before the law and fairness in the protection and vindication of rights (S/2004/616, para. 6). Justice, including transitional justice , is a fundamental building block of sustainable peace in countries in conflict and post-conflict situations. The United Nations assists and supports countries in addressing serious violations of human rights and providing redress to victims upon their request. There is no rule of law within societies if human rights are not protected and vice versa; human rights cannot be protected in societies without a strong rule of law. The rule of law is the implementation mechanism for human rights, turning them from a principle into a reality.